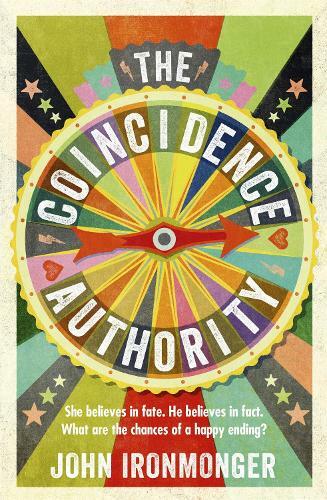 For fans of THE UNLIKELY PILGRIMAGE OF HAROLD FRY, THE ADJUSTMENT BUREAU, Mark Watson and Mark Haddon, here is a cleverly written mystery about fate, circumstance, destiny and coincidence from COSTA AWARD-shortlisted author, John Ironmonger. This quirky read is hard to put down and spans philosophy, conflict, relationships and romance. Thomas Post is an expert on coincidences. He's an authority. People come to see him, to ask him if he can explain strange events that have befallen them, and he can always explain these things away. We poor humans, he would say, have a tendency to make patterns out of random shapes, or to construct meaning from the random behaviour of the universe. But one day Thomas gets a visit from Azalea Lewis, and his world will never be the same again. For Azalea's coincidences seem to go off the scale. The lives of Thomas and Azalea become entwined, their destinies entangled. And now, with Azalea apparently dead in a foreign land, Thomas must reassemble the pieces of her life in search for the patterns that drove it. And that means he must try to unravel the coincidences that so afflicted her. A great find from the Waterstones card Pot Luck book draw. A layered novel yet easy to read and hugely enjoyable, a modern love story, a look at alternative familial relations and the opposition of fact and fate. I won't go into too much detail as all the other reviews have done this for me, I'll just say that if you want a quick but highly enjoyable read, this is it.